A look at these two philosophical ‘Jedi masters’ demonstrates just how far the study of philosophy has come over the last three centuries. Spinoza and Birnbaum – each conceptually nimble, each respectively armed with a major treatise, separated by 350 years chronologically. They each launch major fields in the philosophical arena: Spinoza’s Determinism, Birnbaum’s Potentialism. Their theories are each groundbreaking and unique, but there are also some extraordinary similarities. Across the centuries, their treatises ‘speak to each other,’ as if the treatises themselves are having a formal debate. Of course Birnbaum speaks last and is aware that Spinoza cannot rebut. As a consequence, Birnbaum is quite deferential to Spinoza. Spinoza, the father of Determinism, set the groundwork for future Renaissance philosophers. He wrote his masterpiece “Ethics” in a powerful voice that provoked new ways of thinking. Spinoza believed that God was somewhat identical to Nature and the natural order. This God is an unknowable, impersonal entity who created everything as perfection, even evil. Spinoza states that evil is not deviance from perfection, but a part of it. Spinoza's writings are not anti-religious, but his brazen voice and imperious attitude quickly caught the attention of the local rabbinic council, which excommunicated him for ‘his attitude’ when he was 23. He was even threatened with a knife outside a synagogue. It is just as well then, that Spinoza ended his formal education at age 17, providing himself some physical distance from the establishments he quarreled with. Despite his self-alienation from formal schooling, ‘outsider’ Spinoza has had a profound impact on the global intellectual world for the centuries subsequent. A couple hundred years after Spinoza, ‘outsider’ David Birnbaum founded and championed Potentialism, which radically branches away from Spinoza's Determinism. Since 1988 Birnbaum has sequentially published a 3-volume treatise Summa Metaphysica (1988, 2005, 2014), which has come to be used as a course text at over a dozen universities. This breathtaking journey into Potentialism has tantalized many globally, but radically threatened a small segment. In any event, the theory is in position to shake the world. Potentialism is in that rare category of – simple, yet profound. Over a dozen journals have featured Birnbaum’s Summa Metaphysica and its Theory of Potential. For theory core, see https://www.summametaphysica.com/theory-core/. Birnbaum proposes that his signature theme of Infinite Potential (Quest for Potential infinitely nested) gifts humans complete freedom and that interference is not possible in a cosmic order underpinned by Potentialism. According to Potentialism the universe of necessity has in it both good and evil, a duality which must always exist; good and evil must inevitably spar. If there were no possibility for evil in the universe, the universe could not have been created in-the-first-place. Birnbaum posits both an eternal dynamic (Infinite Potential) and a cosmic purpose (the quest for Infinite Potential) while Spinoza develops neither of these major issues. Birnbaum is acutely aware of the apparent major gaps in Spinozan Determinism, but only obliquely notes that deficit. The extraordinary works and lives of Spinoza and Birnbaum converge and diverge on major conceptual areas. In the ‘convergence’ department both believe that everything spanning the cosmic order is interconnected – past, present and future; both believe that a transcendent lattice-work unifies all life; both believe that an overarching force drives the cosmic order; and both very clearly leave open the metaphysical possibility of describing this force ultimately as God. While each, in his own way, proposes a total philosophical revolution – the two theories are conceptually radically different. Spinoza’s universe is cold and deterministic, devoid of freedom; Birnbaum’s universe is rich and organic, a vibrant universe of maximum Potential and freedom. Birnbaum asserts that his core philosophical paradigm can be employed by the spectrum of mankind: archetypes Religious Man, Spiritual Man and Secular Man. Humans, as an expression of Infinite Potential and the divine, have the freedom to choose their own expression of their Potentiality. This leads to a central tenet of Potentialism: Mankind has Free Will. 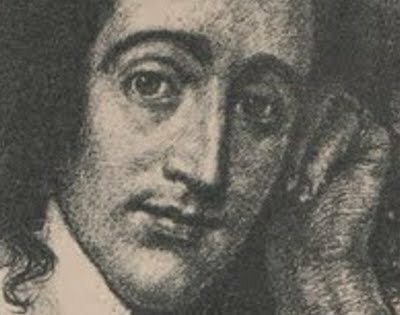 Spinoza's Determinism is something quite different, asserting that people are led by their own hard-wired emotions and that those emotions were put in place by God. Spinoza states that active, strong emotions cannot be overcome by reason, only by stronger emotions. In that way we are products of the universe, directly and inexorably guided by our God-given desires. According to Determinism, mankind does not truly have Free Will. Likewise, Birnbaum and Spinoza disagree on the nature of evil. To Birnbaum, Evil is real. In a cosmos predicated on Potential, however, it cannot be countered by an intervening God. In contrast, Spinoza asserts Evil is not real; it just appears that way for lack of understanding. Interestingly, concepts of both Spinoza’s Ethics (c. 1677) and Birnbaum’s Summa Metaphysica (first volume 1988) are later present in Programming the Universe (2006), a book by ‘outlier’ MIT Professor of Quantum Mechanics Seth Lloyd. Lloyd believes that the universe is like a super quantum computer. His concepts are highly complementary to Birnbaum's interlaced and perpetually iterating universe. In fact, Birnbaum’s Quest for Potential theory (1988) nicely sets the conceptual stage for the Lloyd’s quantum computing universe in which the universe is constantly self-iterating and evolving, as well. Birnbaum notes vis à vis Lloyd - "While the cosmos may appear to have been mechanistic in its early stages, its ongoing work-in-progress goal is far from mechanistic. The universe sets-the-stage for – and proactively seeks – optimization of the multiplicity of venues and dimensions, including the aesthetic and emotional and possibly the spiritual... The mechanistic aspect of our universe is necessary but not sufficient. The mechanics are but a platform or base from which Quest for Potential advances forth, pressing the iterative limits of extraordinariation." Spinoza and Birnbaum are paradigm-breaking philosophers who have shaped the study of philosophy. Both their works can be found in university classrooms across the country and the world – from UCLA on the West Coast to Yeshiva University and Brandeis on the East Coast to Hebrew University in Jerusalem. Built from a history of thinking, communicating, extrapolating, and creative thinking, the working hypothesis Quest for Potential∞ is a radical departure from Determinism. This newly-proposed concept is not unlikely to serve as a very key building block for future levels of understanding. Potentialism marks a seminal point of philosophical advance; it is a paradigm challenge of the first order.